Home Events PIC – Never looked so good! PIC – Never looked so good! 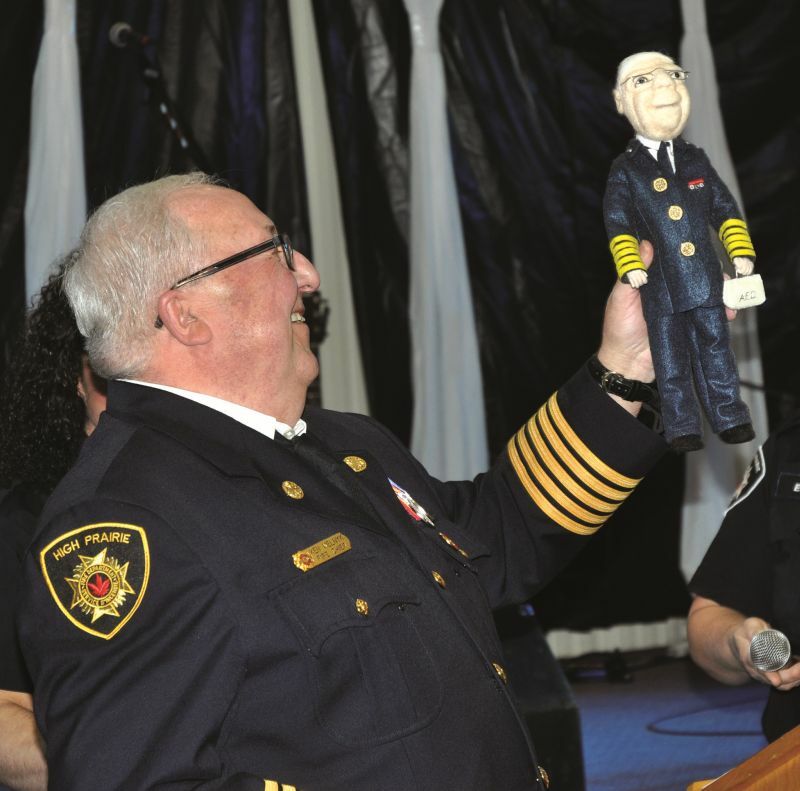 High Prairie fire chief Ken Melnyk has a laugh after receiving a doll in his image from the Ayles family at the High Prairie Fire Department Spring Ball April 6. Melnyk officially announced his retirement effective June 30 after 38 years of service. PICs – A labour of love!